Prestashop Walmart Integration addon helps the Prestashop store owners bypass the complex procedure of integrating their store with the marketplace. Walmart is the second most popular eCommerce platform after Amazon. With its great online presence and the recent acquisition of Jet.com, the marketplace offers a huge opportunity to the online seller. Prestashop Walmart Integration extension compliments this expansion and offers a robust solution to the e-vendors to sell their products on the popular platform. The Walmart Prestashop API integrator enables the online sellers to add their products, update the information and process the orders from a single interface. The eCommerce vendors can now diversify their selling channel and generate more revenue just by installing Prestashop Walmart Integration extension in their Prestashop store. The store owner needs to create a seller account in Walmart.com. With the help of the Prestashop Walmart Integration module, the admin can integrate the store with the marketplace. 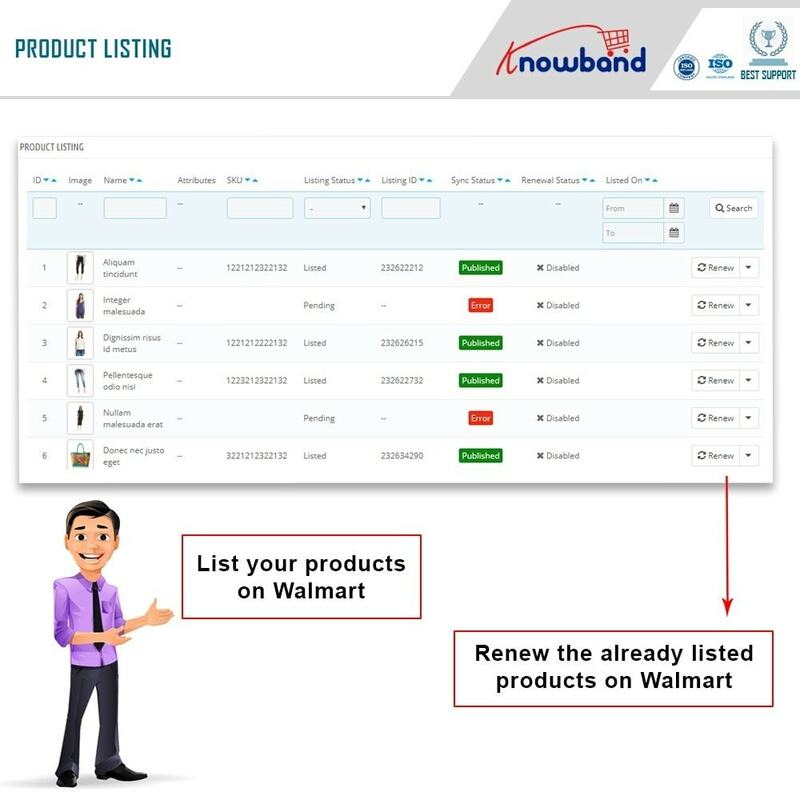 The Walmart integrates the entire process of product listing as well. The merchants need not upload the products manually. It can be done in bulk from the back-end of the Prestashop Walmart Marketplace Integration addon. The merchants can keep a track of the inventory and manage them in a few simple steps with the help of Prestashop Walmart Marketplace Integration extension. The robust interface of the Prestashop Walmart Integration extension makes it easier for the e-vendors to manage the orders received from Walmart.com. The errors occurred while product listing can be viewed and rectified accordingly from the back-end of the Prestashop Walmart Integration addon. 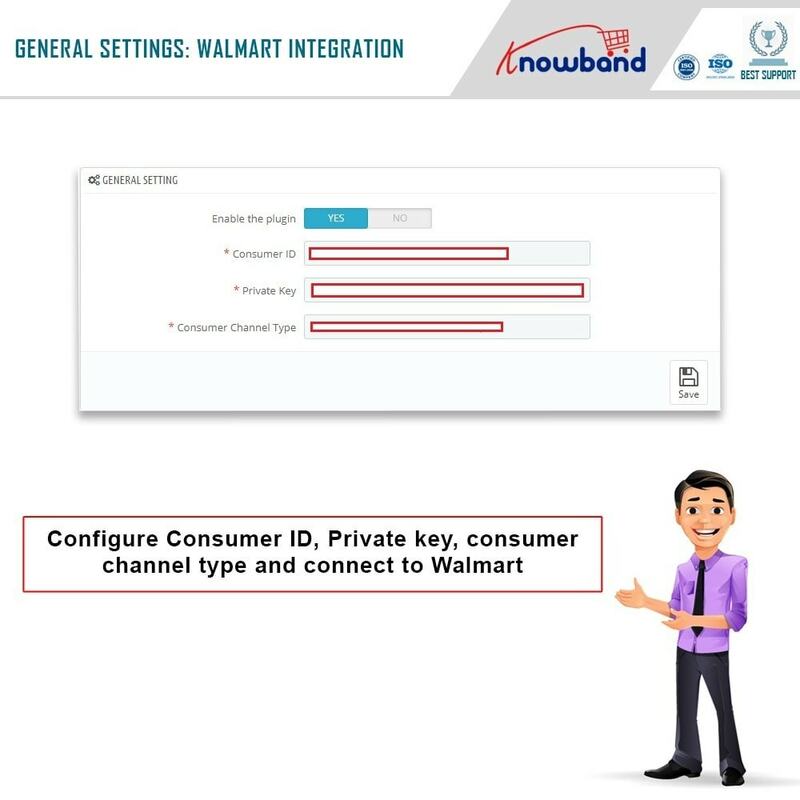 The Walmart Prestashop connector comes with a free support of three months. The Prestashop Walmart Integration plugin offers multi-lingual support that allows the merchants to list the product information in more than one language. Walmart Prestashop integration module is compatible with the latest version of Prestashop. With Prestashop Walmart Integration addon, the admin can change the price of the products in the marketplace without changing it at the site. 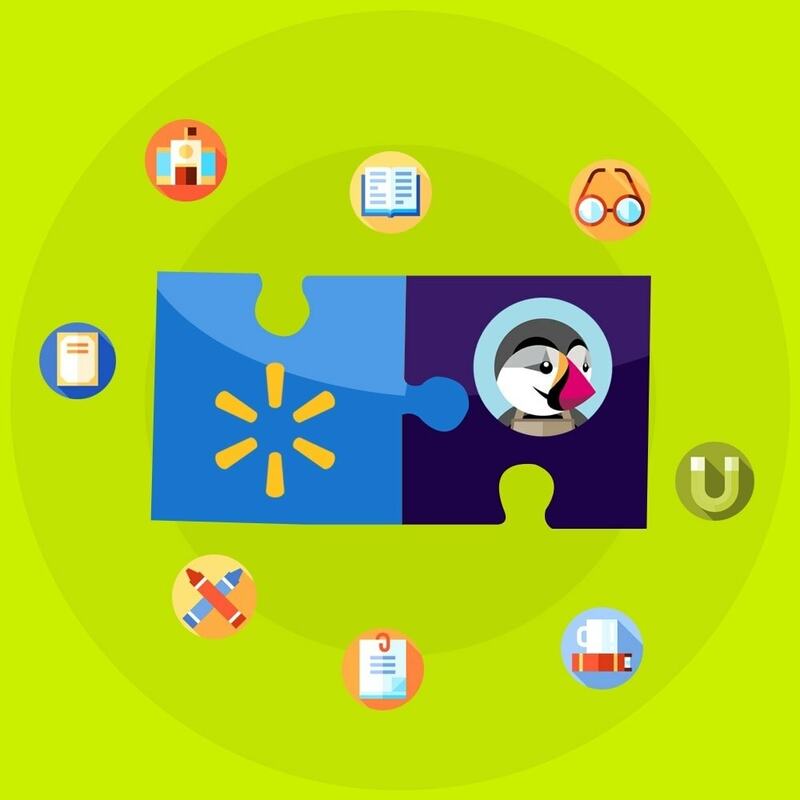 The Walmart Prestashop Integration addon makes it easier for the admin to renew, update or remove the products from the marketplace in bulk. The sellers can easily upload the tax code of the products in bulk. 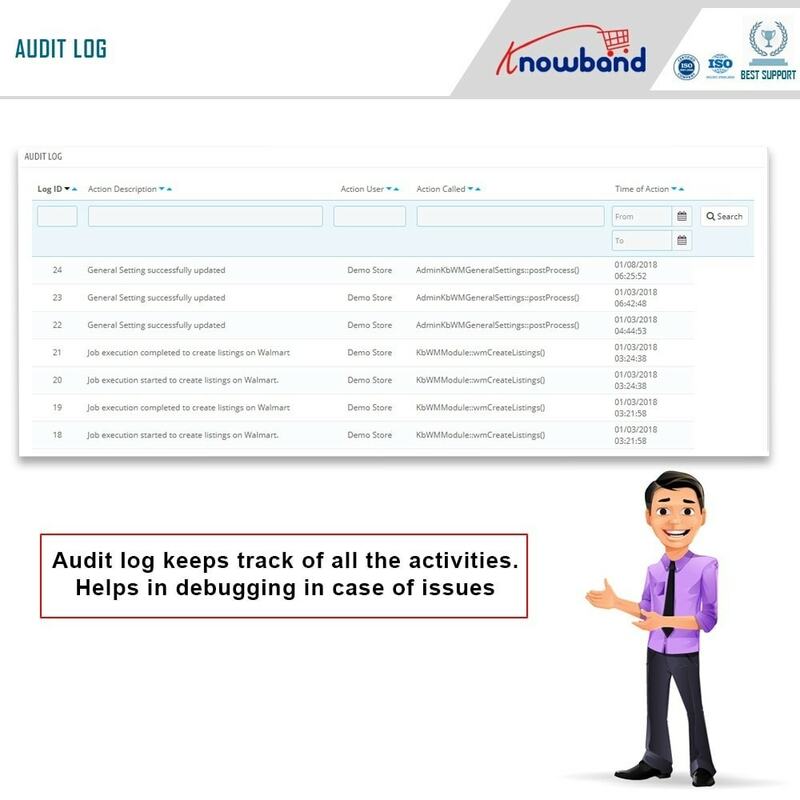 With the ease of report tracking, the admin can effortlessly track the performance of their products. The Prestashop Walmart API integration addon even makes it easier for the store admin to win the buy box. 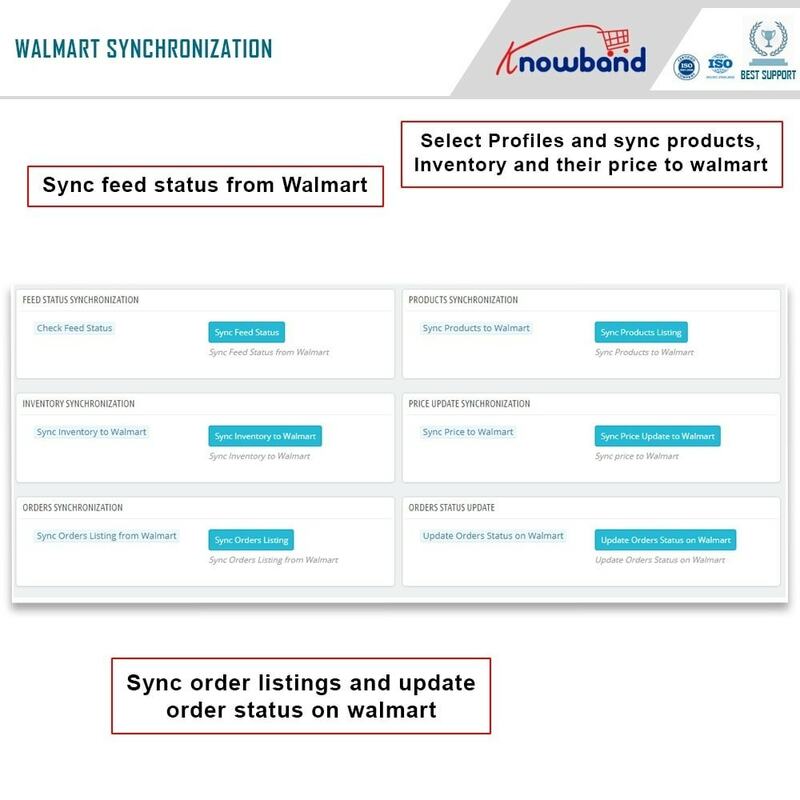 Real-time Synchronization: Walmart Prestashop integration offers a real-time interface for the store synchronization. The entire shopping site is connected with the marketplace in a few simple steps. Inventory Management: The merchants can easily track and manage the inventory from the back-end of the Prestashop Walmart integration. 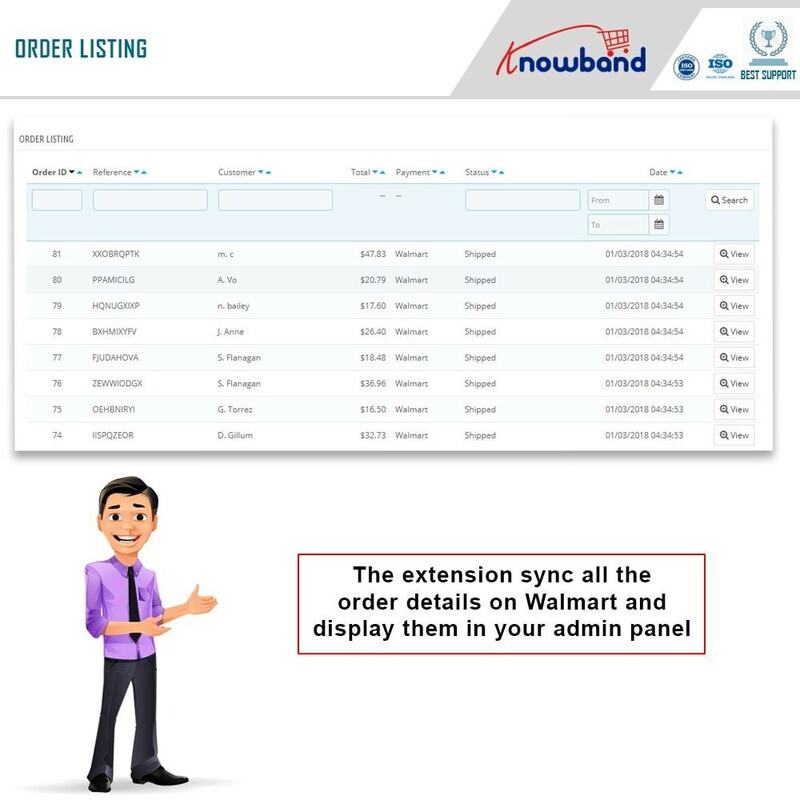 Automatic Product Listing: The products and their corresponding details are synced with the marketplace just by executing cron in the admin interface of the Walmart Integrator. The products can be added, removed and relisted in the marketplace with the help of Prestashop Walmart API integrator. Easy Order Management: The admin can synchronize the entire orders received from Walmart.com in the Prestashop store. The orders can then be processed from the store itself without visiting the marketplace. 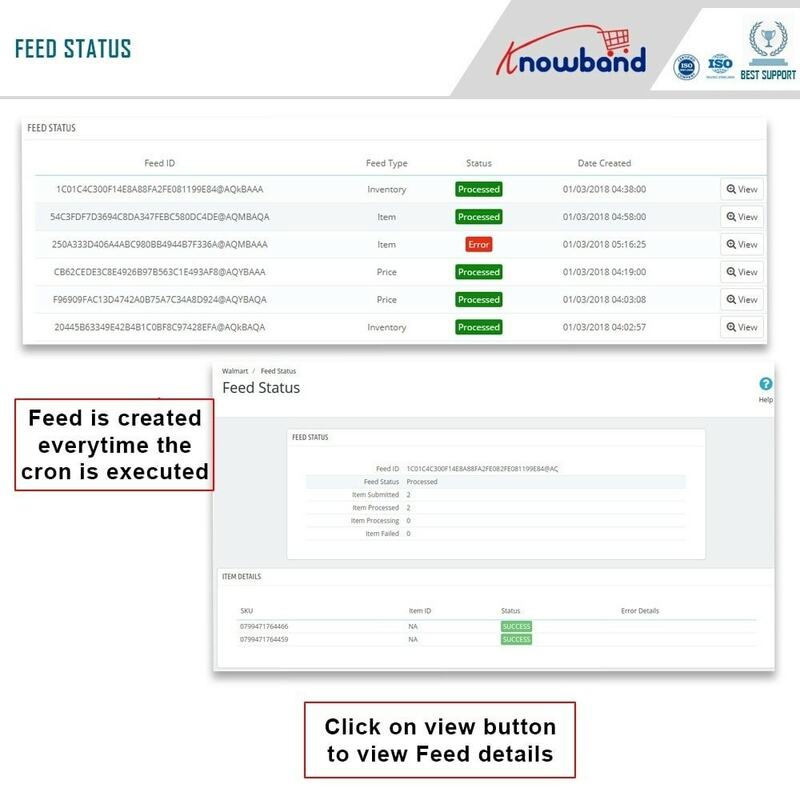 The change in the order status can be updated back on Walmart.com by executing cron from the Walmart Integrator. Product Detail Synchronization: The merchants can update any change in the Product Information on Walmart from the admin interface of Prestashop Walmart Integration extension. Pricing Update: The price of the products as well as any change in the pricing structure can be updated on Walmart with the help of cron job from the back-end of the Prestashop Walmart integration module. The merchants need not make the updates individually. The price changes in the Prestashop store will be automatically synced in the marketplace. 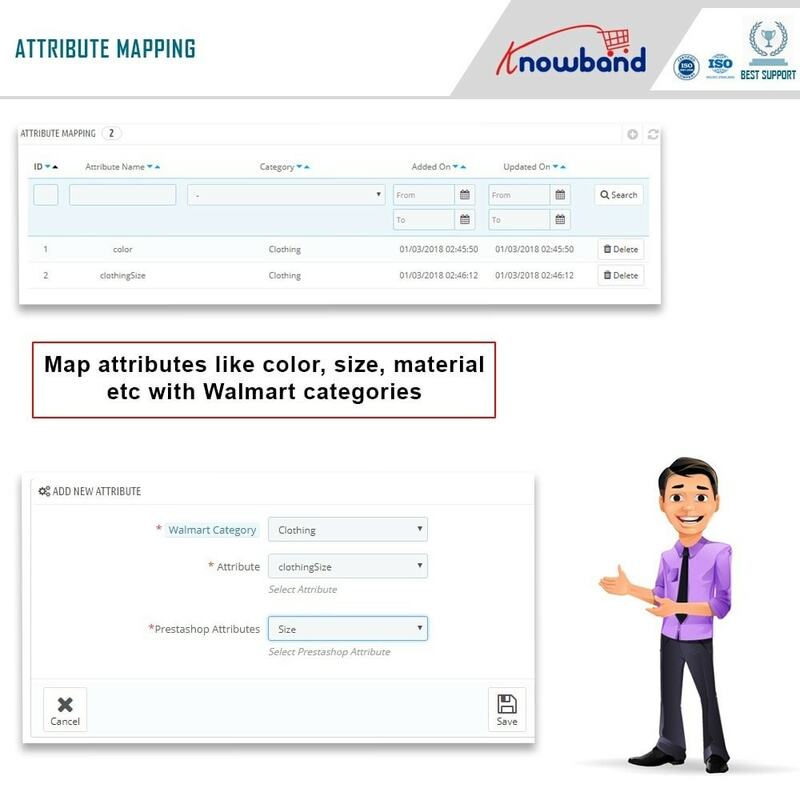 Effortless Category and Attribute Mapping: The Walmart Prestashop connector allows the sellers to list their products as per the standards of Walmart.com. The vendors can map the category of the Walmart with the store’s category at a few button click from the back-end of the Walmart Prestashop API integrator. Not just this, even the attributes of the store can be easily mapped with the attribute of Walmart. Error Tracking: The Prestashop Walmart Marketplace Integration addon allows you keep a track on the errors occurred while listing the products. Shipping Management: The admin can even include the shipping template if required in the admin interface of the Prestashop Walmart Marketplace Integration module. Custom Pricing: With the help of Walmart Prestashop API integration addon, the admin can increase/decrease the price of the products on the marketplace without making any changes in the store front. Bulk Management: The admin can relist or remove the products in bulk. The bulk action makes it easier for the admin to manage the inventory. The existing products of the marketplace can be mapped just by executing cron in the back-end of the Prestashop Walmart integration extension. 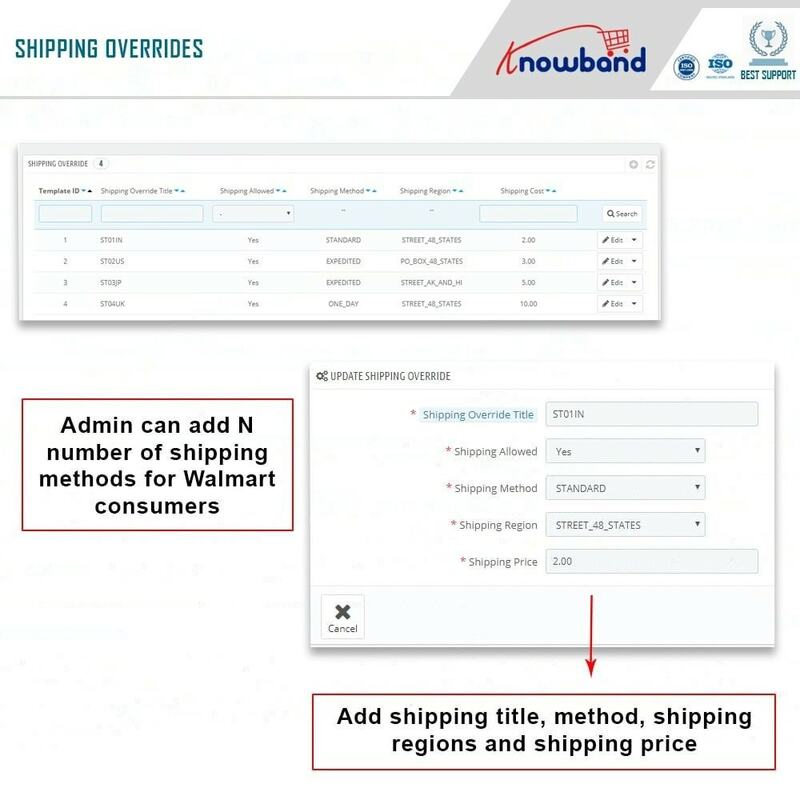 Shipping Carrier: The Prestashop Walmart integration module allows the admin to add the shipping carriers with ease. Tax Code: The real-time synchronization of the Walmart Prestashop Integration extension allows the admin to upload the tax code of the products in bulk. Sales report: The Prestashop Walmart connector offers a complete sales report. The sellers can even track the sales report of individual products. 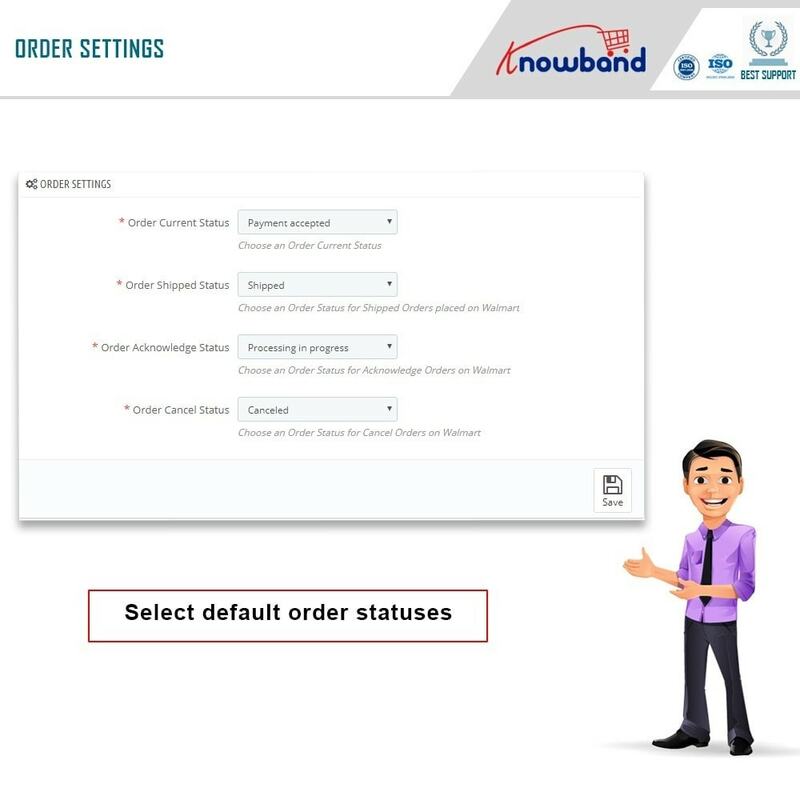 Buy Box Functionality: The seller can track the status of the buy box. The admin can easily reprice the product and win the buy box. Lag Time Management: The seller can keep the marketplace customers informed about the lag time of the products. The Prestashop Walmart Integration plugin allows the admin to sync the lag time of the bulk products in one go. Promotion: The admin can provide special promotional offers to the marketplace customers. The Walmart Prestashop integration extension offers a seamless interface to the sellers to create N number of promotional deals and display them on the marketplace. The customer can easily find your products on the popular platform. 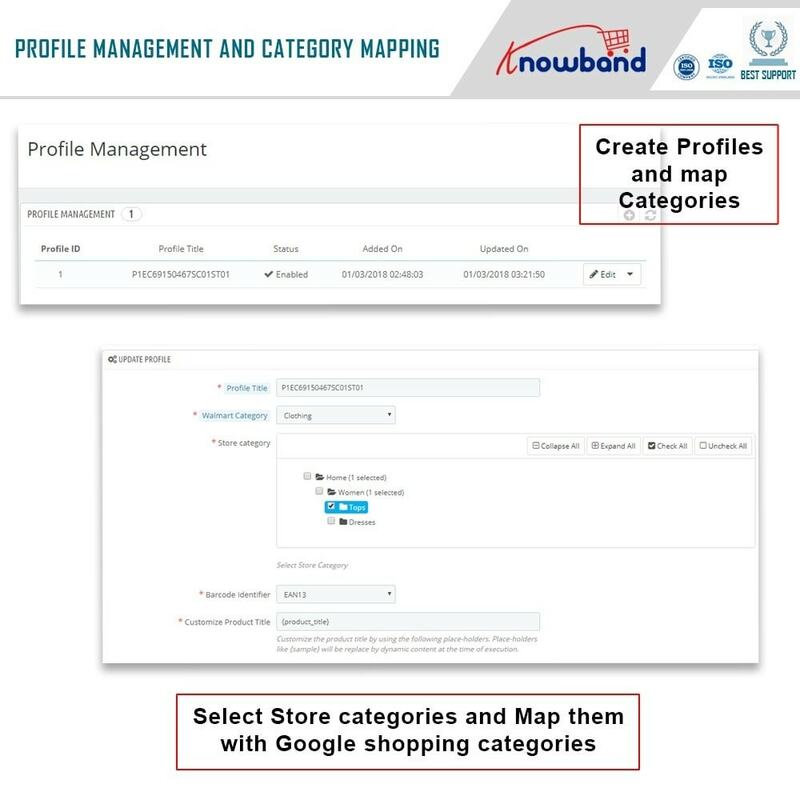 With easy category and attribute mapping, it becomes easier for the customers to shop for your products. Buy Box products makes it easier for the customer to make their purchase decision.